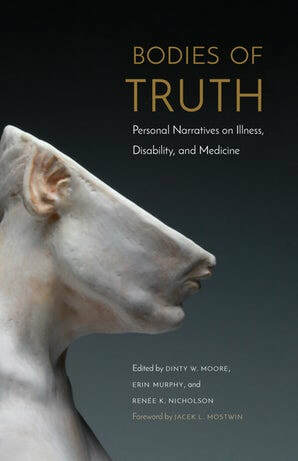 ​Look for Patrick Donnelly's essay "The Way of the Spring" in BODIES OF TRUTH: Personal Narratives on Illness, Disability, and Medicine, University of Nebraska Press, 2019: "...I keep a framed quote on a shelf in the meditation room that Stephen and I have set up in our house. It’s from an essay by James Carse, and expresses perfectly what I’ve come to feel about living with HIV, or about any other danger that threatens to diminish my life: 'This is the deepest secret of the living water: it transforms every obstruction into a new expression of itself. It accepts as channel what is presented as barrier. The mountain does not stand in the way of the spring; it is the way of the spring.'" can be sentimental without the poem itself being so." all her tender puppies by the neck.